Brilliant. Bizarrely I saw a real, or at least a replica, dingo driving down Anzac Highway (Adelaide) yesterday! Hehee … must be mind powers at work 🙂 Its a neat little vehicle I think, be nice to own a real one as it’s small and the mechanical stuff is nice and basic. Looks like a little beauty! You don’t want to know what I’ve got planned for mine – I think this one is going to need some kicking into shape. My war-wheel OCD goes into overdrive when I start to look at the angles on this kit. Needless to say I don’t think NR enjoys these little forays from black powder artillery and wagons much (he mastered to 250 too). 🙂 Well this is better than the 250! Got a few little things to go, both aerial mounts, a handle or two and the 3 prominent hinges on the front box but nothing structural !!! I’m probably going to add a touch of chipping too but thinking about keeping the Brits pretty newish looking as I think it’s suits their “look” – gonna check with Richard about that though before wrapping up because as it stands the two sides have a significantly different finish to them …. I agree, clean(er) suits the British well during this period. I wonder if we get this impression because the Germans encouraged actual battlefield photography, whereas more of the British images are propaganda shots? Either way, it works for me. Seriously though it’s interesting, don’t get me wrong I have a ton of weathered Brit desert pics, as I’m sure you do too. 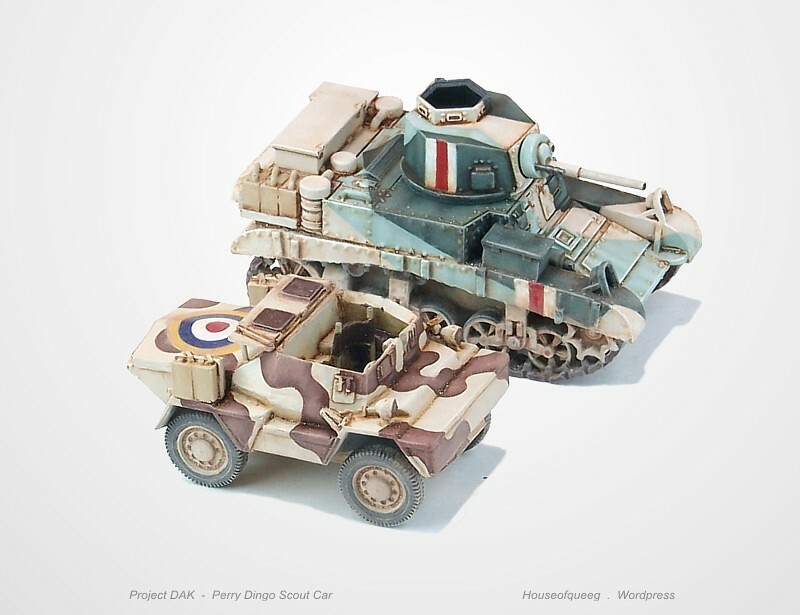 But as you say there’s more heroically posed shots in the Brit collection and some remarkably spruce looking vehicles ….